Abstract：Macropsinae is widely distributed around the world. The phylogenetic relationship of the species in Macropsinae appears to be confused, and the taxonomic status of some genera strongly needs to be verified and discussed. 23 Cicadellidae species (including 22 Macropsinae of ingroup and 1 Idiocerinae of outgroup) were chosen as the materials and 23 DNA sequences of mitochondrial COⅠ gene were obtained. The sequence composition and genetic distance of these genes were analyzed, and the phylogenetic trees were built using the methods of Maximum Likelyhood and Bayesian Inference. The results showed that the content of A+T (68.3%) in the sequences of COⅠ gene was significantly higher than that of G+C (31.7%). There were statistically significant differences in the genetic distance among species, genera and subfamilies. The phylogenetic tree well supported the monophyly of genus Oncopsis and Pedionis, but weakly supported that of Macropsis and Pediopsoides. 朴美花, 陈学新, 何俊华. 2002. 膜翅目昆虫干标本的基因组DNA提取[J]. 动物分类学报, 27(4):672-676. 魏重生, 蔡平. 1998. 广头叶蝉属二新种(同翅目:叶蝉科:广头叶蝉亚科)[J]. 昆虫分类学报, 20(2):119-122. Dietrich CH. 2005. Keys to the families of Cicadomorpha and subfamilies and tribes of Cicadellidae (Hemiptera:Auchenorrhyncha)[J]. Florida Entomologist, 88(4):502-517. Evans JW. 1937. Australian leaf-hoppers (Jassoidea, Homoptera):part 4 (Ledridae, Ulopidae and Euscelidae, Paradorydiini)[J]. Papers and Proceedings of the Royal Society of Tasmania, 1936:1-36. Evans JW. 1946. A natural classification of leafhoppers (Jassoidea, Homoptera). Part 1. External morphology and systematic position[J]. Transactions of the Royal Entomological Society of London, 96(3):47-60. Folmer O, Black M, Hoeh W, et al. 1994. DNA primers for amplification of mitochondrial cytochrome c oxidase subunit Ⅰ from diverse metazoan invertebrates[J]. Molecular Marine Biology and Biotechnology, 3:294-299. Hamilton KGA. 1980. Contributions to the study of the worldMacropsini (Rhynchota:Homoptera:Cicadellidae)[J]. The Canadian Entomologist, 112:875-932. Hamilton KGA. 1983. Revision of the Macropsini and Neopsini of the new-world (Rhynchota:Homoptera:Cicadellidae), with notes on intersex morphology[J]. Memoirs of the Entomological Society of Canada, 123:1-223. Hebert PDN, Cywinska A, Ball SL, et al. 2003a. Biological identifications through DNA barcodes[J]. Proceedings of the Royal Society B:Biological Sciences, 270(1512):313-321. Hebert PDN, Ratnasingham S, de Waard JR. 2003b. Barcoding animal life:cytochrome c oxidase subunit 1 divergences among closely related species[J]. Proceedings of the Royal Society B:Biological Sciences, 270(S1):S96-S99. Li H, Tishechkin DY, Dai RH, et al. 2012. Colour polymorphism in a leafhopper species Macropsis notata (Prohaska, 1923)(Hemiptera:Cicadellidae:Macropsinae) with new synonyms[J]. Zootaxa, 3351:39-46. Li H, Tishechkin DY, Dai RH, et al. 2013. 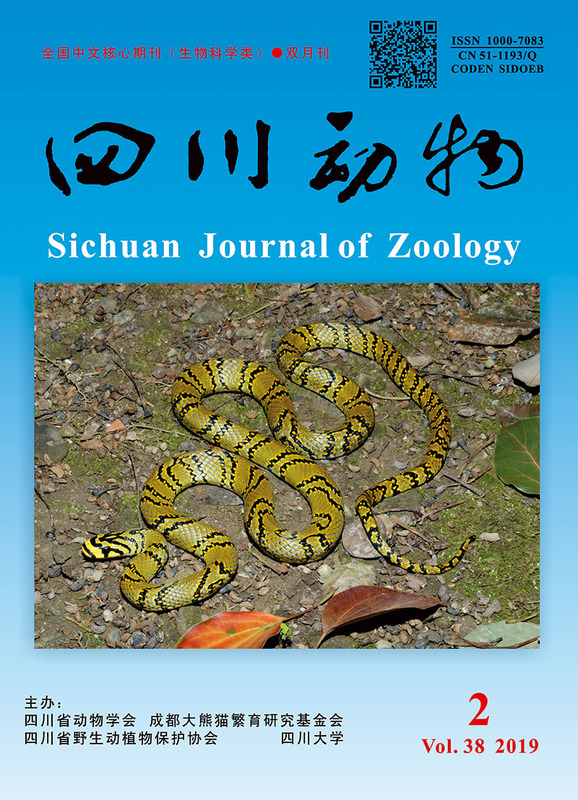 Taxonomic study of Chinese species of the genus Macropsis Lewis, 1836 (Hemiptera:Cicadellidae:Macropsinae) Ⅱ:a new subgenus for Macropsis flavovirens Kuoh[J]. Zootaxa, 3641(1):57-62. Li H, Tishechkin DY, Dai RH, et al. 2014. Taxonomic study of Chinese species of the genus Macropsis Lewis, 1836 (Hemiptera:Cicadellidae:Macropsinae) Ⅲ:a review of oak-dwelling species[J]. Zootaxa, 3760(3):351-368. Linnavuori R. 1978. Studies on the family Cicadellidae (Homoptera, Auchenorrhyncha)[J]. Acta Entomologica Fennica, 33:1-19. Tishechkin DY. 1994. On the taxonomy of Palearctic species of the genus Macropsis (Homoptera, Cicadellidae, Macropsinae)[J]. Zoologichesky Zhurnal, 73(7-8):42-51. Tishechkin DY. 1999. Review of the species of the genus Macropsis Lewis, 1834 (Homoptera:Cicadellidae:Macropsinae) from the Russian Far East and adjacent territories of Transbaikalia[J]. Russian Entomological Journal, 8(2):73-113. Tishechkin DY. 2002. Review of the species of the genus Macropsis Lewis, 1834 (Homoptera:Cicadellidae:Macropsinae) from European Russia and adjacent territories[J]. Russian Entomological Journal, 11(2):123-184. Tishetshkin DY. 2006. Leafhoppers of the genus Macropsidius (Homoptera, Cicadellidae, Macropsinae) of European Russia[J]. Entomological Review, 85(4):470-478. Tishetshkin DY. 2007. New data on systematics of leafhoppers of the genus Macropsidius (Homoptera, Cicadellidae, Macropsinae)[J]. Zoologicheskii Zhurnal, 86(2):204-210. Tishetshkin DY. 2014. Review of species of the genus Macropsidius Ribaut, 1952 (Homoptera:Cicadellidae:Macropsinae) of Russia and adjacent territories[J]. Russian Entomological Journal, 22(3):155-167. Yang L, Zhang Y. 2015. New records and synonymy in the genus Macropsidius (Hemiptera, Cicadellidae, Macropsinae) from China and description of a new Pediopsis species[J]. Zootaxa, 4021(3):487-492.